Local public school districts are all highly regarded for their fine academic programs. Most elementary students in Los Altos and Los Altos Hills attend schools in the Los Altos School District which serves students in transitional kindergarten through eighth grade and is comprised of seven elementary schools-Almond, Gardner Bullis, Covington, Loyola, Oak, Santa Rita, and Springer-and two junior high schools-Egan and Blach. The Los Altos School District (LASD) is a premier school district in Santa Clara County and has provided an exemplary education to the children of our community for more than 100 years. LASD is passionate about providing the best education possible for our students -- one that shapes them into creative thinkers, collaborative problem solvers, and responsible young citizens. They achieve this through a rigorous academic program, a nurturing environment and a commitment to good character. Mission Statement: The Los Altos School District inspires a passion for learning and prepares all K-8 students to thrive in our rapidly changing global community. Vision Statement: The Los Altos School District will be a leader in revolutionizing learning for all students. Well-known for academic excellence, all nine of the Los Altos School District schools are among the top half of one percent of schools in the state of California, as ranked by the state's Academic Performance Index. The district as a whole has received among the highest standardized test scores of all districts in California for nine years in a row. All nine of the schools have been recognized as California Distinguished Schools, and five are National Blue Ribbon Schools. LASD focuses on educating the whole child with standards based instruction and well rounded enrichment programs. Diverse instructional models integrating art, music and technology challenge students to think critically and creatively. Project based learning, conflict resolution and anti-bullying programs, community service opportunities and environmental education emphasize the life skills needed in today’s world. Intermediate school students are able to take seven subjects, including a choice of three languages, advanced mathematics courses, applied design, digital exploration, movie making, art, instrumental music, chorus, drama, yearbook and journalism. The junior highs participate in the West Valley Junior High Athletic league. Sports offered include track, basketball, cross-country, soccer, tennis, volleyball, wrestling and softball. LASD is committed to revolutionizing learning for all students. Technology is integrated into the classroom and is used in all grades to enhance the existing curriculum. In 2010, LASD was chosen as the first pilot program for the internationally recognized Khan Academy. All 5th through 8th grade mathematics teachers in LASD utilize Khan Academy as a part of their instruction. Los Altos School District students' test scores are consistently among the highest in California, with an average Academic Performance Index (API) score of 959 for elementary schools and 967 for intermediate schools in 2013. These high test scores can be attributed to the high quality teachers the district is able to recruit and retain. Teachers receive professional development days, job-embedded professional development and conference opportunities. Most recently, teachers attended trainings on Google Apps, Design Thinking and Common Core. 58% of LASD teachers hold a masters degree or higher. LASD parents and the community are partners in helping LASD achieve its goals. Parents support their school with community building events, fundraising for school site expenses and volunteering over 170,000 hours each school year. Parents and community members contribute generously to the Los Altos Educational Foundation (LAEF) to cover state funding gaps, enrichment programs and Innovation initiatives. All of these contributions help to make the educational experience in the Los Altos School District exceptional. The district received a vote of confidence from the community in 1989 with the passage of one of the first parcel taxes in the State, and in 2011 for an additional parcel tax to be used to balance the school budget and restore previously cut programs. The Mountain View/Los Altos High School District (MVLA) serves 4200 students in grades nine through twelve who reside in Los Altos, Los Altos Hills and Mountain View. Students living within district boundaries are assigned to attend either Los Altos High School or Mountain View High School, depending upon their home address. 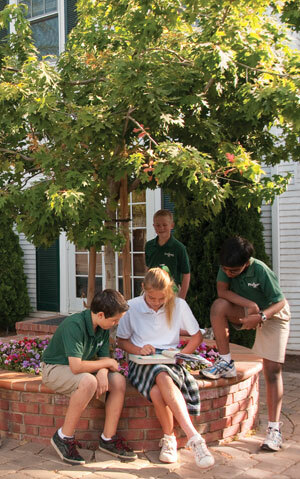 MVLA provides world-class education to a diverse student population. Strong scores on Advanced Placement and SAT/ACT exams are among the highest in California with students gaining acceptance to the most selective colleges and universities. More than 96% of graduating seniors pursue post-secondary education. Along with outstanding academic preparation, the schools provide an inclusive culture that promotes a healthy and balanced lifestyle. MVLA schools also feature nationally acclaimed performing and visual arts, robotics, debate, athletics and over 100 student organizations. More than 40 Honors and Advanced Placement (AP) courses are offered. All schools received the highest level accreditation through the Western Association of Schools and Colleges and have been named California Distinguished Schools. The MVLA District also offers highly recognized alternative programs for local students. The MVLA Adult School serves a diverse population of over 5,000 adult students annually. The MVLA Freestyle Academy has a nationwide reputation for excellence in Communication Arts and Technology. Alta Vista Continuation High School was recognized as a California Model Continuation School. The “Middle College” program located at Foothill Community College engages high school juniors and seniors who take college classes but meet together in a small school environment. The MVLA District is committed to attracting, recruiting, and retaining enthusiastic, talented and caring faculty and staff. Approximately fifty percent of our teaching staff hold advanced degrees. The District currently has eighteen National Board Certified Teachers, the profession's mark of accomplished teaching. The District believes that every teacher, every classified staff member, and every administrator should set excellence of instruction and program as their number one priority. The District is committed to the professional and personal development of its staff members. Professional workshops and conferences encourage educational excellence and promote teacher-driven innovations grounded in research and practical experience. The MVLA Foundation invests in programs that empower all students to thrive at Mountain View High School and Los Altos High School. The MVLA Foundation supports 20:1 class sizes for freshman English and math classes, coordinators for Tutorial Centers offering free tutoring assistance, student wellness initiatives, extended library hours, and a vibrant Parent Education Speaker Series. College and career readiness includes coordinators and resources for College and Career Centers, PSAT tests for all sophomores and juniors and college visits for academic counselors. The MVLA Foundation also funds Innovative Learning Grants for school faculty. Mentor Tutor Connection helps build brighter futures for youth in Mountain View and Los Altos through exceptional tutoring and mentoring programs that improve social and academic life skills. MVLA Scholars has provided renewable scholarships and mentoring to more than 300 students. It currently funds 108 college students, most of whom are first-generation college students and each of whom has a powerful life story. The Mountain View-Los Altos High School District has a long history of high standards and student success. The District is committed to an ongoing assessment of student progress and evaluation of effectiveness of programs and services. Most important, graduates often return to MVLA to reflect on the exceptional preparation they received in high school. Students living in the most Southern part of Los Altos attend Montclaire Elementary School and Cupertino Junior High, both part of Cupertino Union School District, and Homestead High School, part of Fremont Union High School District. Students from some sections of Los Altos Hills are assigned to schools in Palo Alto Unified School District: Lucille Nixon Elementary School, Terman Middle School and Gunn High School. A wide variety of private schools, ranging from nursery school through high school, are available in Los Altos or nearby. These include both secular and parochial schools. Day care centers are also available. The Mountain View Los Altos Adult Education program offers many classes for adults and seniors. For information call (650) 940-1333 or www.mvlaae.net. For education beyond high school, students have a choice of several universities and colleges located in the area including Foothill College in Los Altos Hills, De Anza College in Cupertino, both two-year community colleges; and Menlo College in Atherton. Three major universities are nearby: San Jose State University, part of the California State University system; Stanford University and Santa Clara University, renowned private institutions. Foothill’s diverse student population is comprised of recent high school graduates, university-transfer students, working adults and career-changing professionals. For more than five decades, Foothill has provided Los Altos with quality education at an affordable price. Numerous student support services are available, including financial aid, tutoring, and academic and career counseling. Foothill College faculty and staff challenge and inspire all students, and support and nurture them in a campus environment that is personal and serene. Founded with the hallmark of educational opportunity for all, Foothill College is recognized internationally as one of the nation’s most outstanding community colleges. Each quarter, we offer more than 1,000 class sections, and serve approximately 14,000 day, evening and online students. The college also hosts dance, drama and music performances, and guest lectures throughout the year. 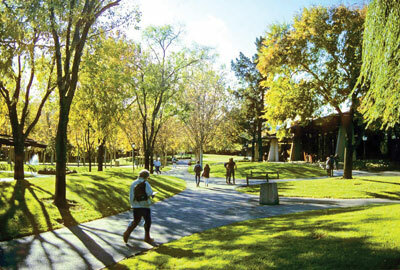 The campus has won numerous architectural design awards and the San Francisco Chroniclecited Foothill as “the most beautiful community college ever built”. Our new Physical Sciences & Engineering Center (PSEC) has already come to be regarded as a leader in developing science, technology, engineering and mathematics, also called STEM, curricula. This thoroughly modern building joins Foothill’s other facilities, including the Krause Center for Innovation, Lohman Theatre, student-operated KFJC-FM, Dental Health Clinic, Japanese Cultural Center, Olympic-sized swimming pool, tennis courts, football stadium, Wellness Center and golf complex. The Community Coordinated Child Development Council of Santa Clara County (4-C Council) is a state funded referral service listing all licensed family and childcare centers in Santa Clara County. For information on this free service: call (408) 487-0747 or visit www.4c.org. Please contact the Los Altos School District for more information at 947-1150. The Community School of Music and Arts (CSMA) at Finn Center provides Arts4All. 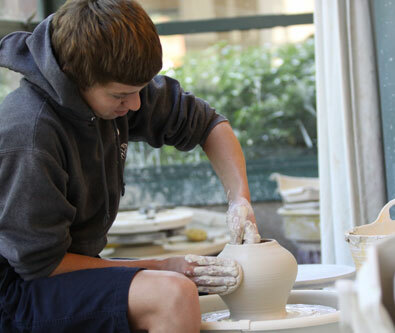 CSMA provides art and music programs for all ages, skill levels and interests year-round. Programs include private and group music instruction, visual arts classes and vacation camps, digital arts courses, free concerts and art exhibitions, preschool music and art for children 18 months – 4 years of age. For more info, call (650) 917-6800 or visit www.arts4all.org.